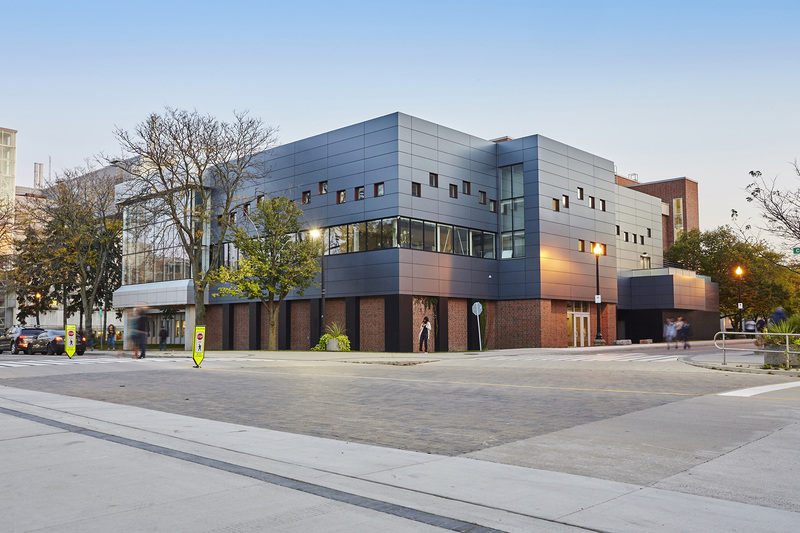 The McMaster Institute for Music and the Mind is a 12,000 sq. 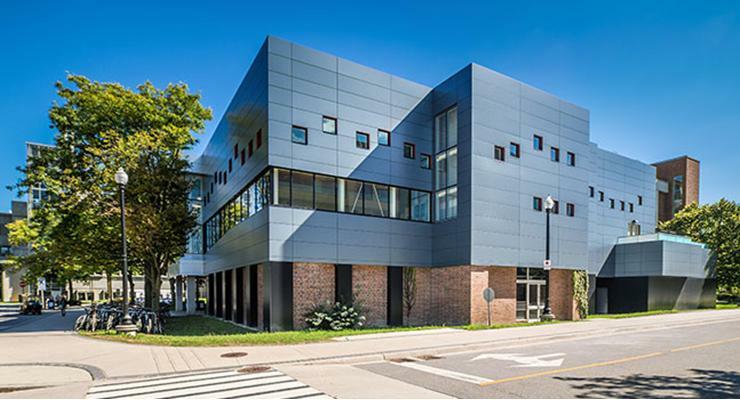 ft. (1,200 m2) is a “Live Lab” addition to the school’s psychology building. Thanks to the strict acoustical properties how the mind, the eye, and the ear interact and react to visual and sound stimulations can be studied. 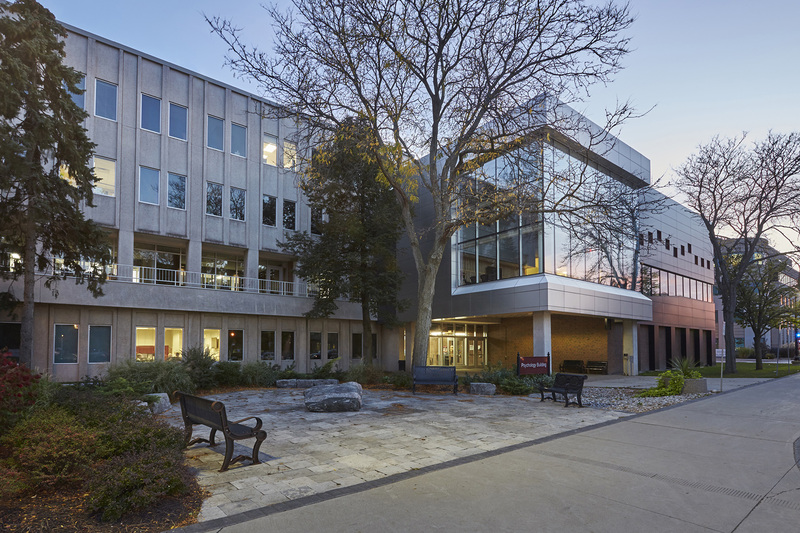 Due to the project’s high level of engineering design, McMaster University commissioned Mantecon Partners Inc. (formerly VRM) to act as the prime consultants. The design team had to focus on maintaining the reliability of the sound stimulations, making sure that no other noise interfered with the school’s sound and visual tests. This was largely achieved by the use of an extremely quiet ventilation system, used without applying dampers. The “Live Lab” consists of a 100 seat auditorium with a floating concrete floor on structural foam tiered floors and heavy block wall construction. A major challenge was overcome by the structural engineering team who designed wall high trusses supported on the columns below. A highly sophisticated control system for audio/visuals was closely coordinated by the electrical design team.